The Bolder Sister: Thank you so much for making time to speak with me and allowing this interview for The Bolder Sister blog. Shae: Of course, no problem. The Bolder Sister: I’m really, really excited to talk to you. I really, really get excited about interviewing other women who I feel are being either bold in their career, bold in their relationship or just bold in doing them and loving on them. I was inspired by your story, all you’ve overcome and what you’re doing, like being in a male dominated field. I really think my readers will be inspired by hearing your story. Shae: Well, thank you very much. I hope you’re right. The Bolder Sister: I’m sure I’m right. I wanted to first start off by asking, why sports reporting? Such an interesting field. What made you interested in that? Shae: Growing up, I grew in Chicago which is obviously a very big sports town, but I lived with my mom, so I really was not a die-hard sports fan growing up. In high school, my high school football team was really good. You know, I liked it in high school but it was really when I went away to college that I fell in love with sports and sports broadcasting. I had intentions of becoming a marine biologist and then I took a public speaking class. My first class at Indiana University where I was at college. I realized, “Well, this is easy for me. I don’t really have to prepare.” You know, it’s easy for me to talk in front a group. It’s something that comes naturally. So I had a meeting with my counselor and she said, “Oh, you should maybe think about going into broadcast journalism.” I said, “Okay” and thought that was a really good idea. That same year, I decided to get season tickets to college basketball. Indiana college basketball is basically a religion. It’s a very big deal there. So I was the one who was following basketball or following it really closely through covering scores in my broadcast journalism classes and being that I was a girl, and I wanted to report. For a lot of the men in my classes, they wanted to do news or investigative reporting, so my professor was like, “Hey Shae, just go to the game. You can do your report for the game.” And then there was ESPN personality coming in to speak at the journalism school my senior year and my professor said, “Hey, why don’t you call them. I think you’d be good at it. You could have your first practice there . You know, you can pick their brain a little bit.” I said, “Great, I’d love to do that.” It was wonderful. I made contacts then when I was in college and those ultimately led to my first job in the industry. To say that I went away to school to do this is not true at all. It all worked itself out and I got very lucky with the job that I did get coming out of college. That’s not to say that I didn’t have a lot of no’s, but I got very lucky in regards to opportunities that I did have. The Bolder Sister: What would you say are your favorite parts of the job? Shae: That it’s different every single day. That I get to talk to people and interact with people of all different walks of life every single day and that I don’t necessarily have to be in a office to do my job. I think that was one thing that I knew going into college, no matter what I did, I knew I couldn’t sit at a 9 to 5 in an office job. It’s not my personality, I’m going to lose interest quickly. It’s just not how I am. I can barely sit still in front of a television set, let alone in an office cubicle. That’s probably my favorite part of this job. You can converse with others. You can learn things from people and it’s just really interesting to me. You know, it’s definitely a different way to do business, but it’s something that I think keeps me motivated and that’s my favorite part about the job. The Bolder Sister: Wonderful. 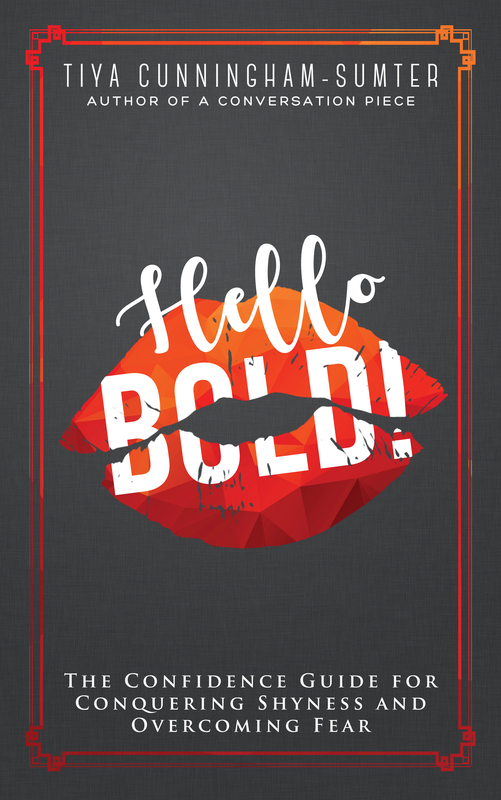 In what ways would you say you have to be bold? I mean, with it being such a male dominated field. Can you share one of those examples where boldness helps? Shae: Yeah. I would say that’s something that I’m still working on every single day. I have a very outgoing personality, but I’m not always the toughest when it comes to speaking my mind or revealing exactly what’s going on inside my head and what I think and feel. I’m working at that every single day. Being in the industry that I’m in, it’s something that I’m challenged with week in and week out. I’m getting a lot better with it and my coworkers and counterparts who have now become my friends have really helped me through that. An example of when that was probably the most prevalent was last year, in my own field of work, and obviously everything is smooth now, but I wasn’t scheduled to go to the Final Four. I had been covering college basketball all season long and it just worked out where my boss thought he would send someone else, a couple other people from my business. He said, “You know, Shae, you’re going to cover other things.” To me, that sounds unfair. I had been covering college basketball all season long. It was something that I was really passionate about and I felt like I could really help both our company and our brand being at the Final Four making connections, building relationships. So I had to say something to him and it wasn’t the easiest. I’m not the highest up on the totem pole, I’m not the oldest, I’m not the most experienced, but you know, I had to sit him down in a group of, obviously males, and express why I felt like I needed to be there. Why I deserved to be there over other people, how my knowledge had grown further than people that they were sending there and how I was worth the expense. Ultimately in the end, I ended up being able to go, but it’s just that there are times like that where you could easily get overlooked. I didn’t play college basketball. I didn’t play college football. My father or mother never worked in the field, so I don’t have the connections outside the ones I built myself. So I really have to push and make sure I maintain those relationships in order to get and go where I want to go. The Bolder Sister: I like that. I like that a lot. Sometimes we have to do that. As women too, and as bolder sisters as I like to call my readers, sometimes we’re challenged with that, what you’re speaking of. Finding our voice and standing up for ourselves. Shae: It’s a lot harder than people think. Those who’ve had to ask for it, I look up to, I admire. I don’t have it, but I’m working on it every single day. My boyfriend helps me with that I would say a lot. The Bolder Sister: That’s what I find fascinating. All the bolder sisters, you included, that I interview, like one would assume because of the positions that you’re in that you don’t feel or have those concerns, those fears or those times when you’re nervous. So I love when people share their truth with me. I think it really helps our readers to know that, “You know, it’s not easy.” We’re not confident all the time like it may appear. Like, we still struggle too. Shae: Yeah. I been on countless auditions and interviews and been told no, since I graduated college. Meetings, you know, a lot of times you’ll meet with executives or people at work and, “Hey, is this not the right time to keep in touch,” meetings, emails, auditions, you name it, I’ve gone and I’ve been turned down for. I remember my professor saying my senior year, “Hey, whoever wants it the most will get it.” I will never forget it and every time I wanted to change direction or go down a different career path … I worked in fashion for a little bit after college to kind of make ends meet. I heard those words in my head and I’m like, “No, I’m going to keep trying and I’m going to keep going until I get a job or a full time job and then go from there.” It’s just one of those things where you just have to kind of talk yourself out of it every once in awhile. 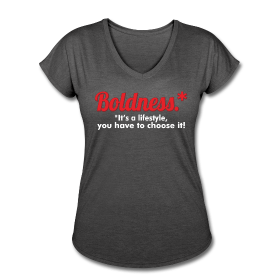 The Bolder Sister: I love that quote too. I encourage women to love on themselves. In what ways would you say you do that? That you take time for you and treat yourself well. Shae: I love to work out. I could obviously be doing it more, but especially when I travel which is now days every 4 to 5 days, I’m on the road. I always make sure I have gym clothes with me and I work out in the gym in the hotels. When I’m home, here in Chicago, I do Soul Cycle. I love Soul Cycle. I do it 2 to 3 times a week. If I don’t do one of those things, then I usually take my dog, a golden retriever, I take her for a long walk or I’ll walk to the grocery store. I just try and stay active. I don’t get in the gym or get to a class every single day, but I at least try to take a long walk or go out of my way to be cleaning the house. You know, not just be sitting down every minute of the day. Just try and stay active. I’m a big manicure/pedicure girl. I love to treat myself to a manicure and pedicure probably once a month. That’s important for my job. You see my hands a lot on TV, so I have to make sure that I do that. So I do take an hour or so for myself. I’d say working out and treating myself to a manicure and pedicure are 2 ways that I really do things for myself and try and keep myself healthy. 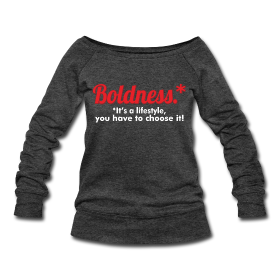 The Bolder Sister: I love that. I know I’ve read a little bit of your story too, and I read about your accident in 2009. Sounds like your road to recovery was really, really difficult. I’m wondering what kept you motivated during that time. You had to learn to walk again. What kept you going? Shae: Yeah. Well, I already said I like to work out. Before my accident, I had been running a lot. By no means was I training for a marathon or anything like that. That’s never been in my DNA, but you know, I’d just go for a mile run. It was something that I really liked to do. At the time, when I got hurt, it was so frustrating to me. Now I understand why people have this post traumatic stress disorder because it’s so frustrating not to be able to just get up and do normal things: go to the bathroom, get yourself a sandwich, take a walk, go for a run, just everyday things. Even taking a shower and putting on jeans was a struggle for me. I needed somebody to help me. You know, it’s just those types of things that are so incredibly frustrating for me. So when I was injured, for 6 months, yes, I had to learn to walk but I also had to re-learn to work out. I was a dancer in high school and in college. Obviously, I can’t dance and I can’t run how I used to, but that’s why I try and do things that I know I’m good at now. Such as cycling, walking, things that I know can keep my heart rate up and can still make me happy and make me do things. Keeping motivated was just I wanted to wear heels again. I wanted to be able to work out again. I wanted to be able to clean and move around in a manner that I could before I got hurt. I think all those kinds of things. When you’re used to being active and then you go to being bedridden, it’s just incredibly frustrating. The Bolder Sister: I can imagine. I can only imagine. I’m also curious about the Fashion’s Fight Against Cancer. Can you tell us about that and how we can support you as well? Shae: Yeah. I started Fashion’s Fight Against Cancer with one of my best friends, 5 or 6 years ago now. We initially did it because we had heard a lot of our friends and friends family members and whatnot, just so many women were being diagnosed with breast cancer. Leaps and bounds the numbers that were coming in to us as we got older. Some were doing these long walks and I obviously can’t run. I just told you how I used to, so her and I got together. She owned a shoe store. At the time, I was still working in fashion and we thought, “What can we do that doesn’t involve running, that could get people together and they could donate to a cause.” Men and women would both want to come and we thought of this fashion show idea and it has an incredible raffle table. The fashion show is really the main event, but 16-20 minutes of the night. There’s usually an open bar, sometimes there’s appetizers, auctions and things like that going on. There’s more to see. So since we started that then, unfortunately, my little sister was diagnosed with Hodgkin’s lymphoma about 3 years ago now. She was 13 at the time that she was diagnosed. So we decided to switch it from breast cancer Fight for Fashion, to Fashion’s Fight Against Cancer because obviously we’re donating to pediatric cancer as opposed to breast cancer research and funding that in any way we possibly can. It started with breast cancer but now it’s moved to pediatric cancer. We donated the most money we ever have last year which is about $30,000. We haven’t planned it yet for this year just because my girlfriend that I do it with is getting married and work has been a little crazy for me. We are planning to do it hopefully sometime this spring. It’s just one of those events that’s just great. It brings family and friends, people you don’t know together. I have to say my coworkers and all those family and friends that I mentioned, they donate and they help out. It’s just unbelievable when you get with people who all want to help and work for a cause, how much money and community you can bring together. The Bolder Sister: Thank you for sharing that. How is your sister? Shae: She’s doing really good. She’s been in remission now for almost 2 years. She just had her 16th birthday yesterday actually. The Bolder Sister: Oh, amazing. Shae: She’s doing really good. She still has to go and get checked every couple months, but so far so good. Her hair is growing back out and she looks great. Thank you for asking. The Bolder Sister: That’s a blessing. I’m happy to hear that. I love to hear people’s big, bold, audacious goals. I wanted to know what are yours. 5 years from now, where will we see or hear Shae? Shae: Well, because I’m a woman, I guess it’s kind of a mixed bag of goals. First of all, I’d love to be hosting my own show on a network, on a network level. Something of that sort. While at the same time, still being a mom and a wife. Being a full-time working mother and also a wife. I’d like to do all of that. For me, I think my goal would be to be able to work for a network where I could juggle both of those things. The Bolder Sister:Good. Last question, what advice would you give to a woman looking for ways to build her confidence, and pursue what she really wants? Shae: This is something someone told me a long time ago. What do you have to lose? At the end of the day, if you weigh your pros and cons, a lot of times what you have to lose is so minimal compared to what you could possibly gain. I think before you have to walk into a meeting or before you have to speak with someone maybe that has a higher job than you, just say to yourself, “What do I possibly have to lose here if something gets messed up?” Trust me, I have gone too many times to talk to someone and I’ve said or done the wrong thing and you leave feeling completely ashamed, but at the end of the day, it didn’t ruin me. It didn’t. All it did was teach me a lesson that I’d never repeat again. I just think that if you remind yourself you really have nothing to lose and so much to gain every time you walk into a room or every time you meet somebody new, don’t take this opportunity for granted. The Bolder Sister: Love it. Love it. Shae, thank you so much for your time this evening. I know my readers will definitely be inspired by hearing your story. Shae: Thank you so much. To learn more about Shae’s fashion show for Cancer research, visit fashionsfightagainstcancer.org.